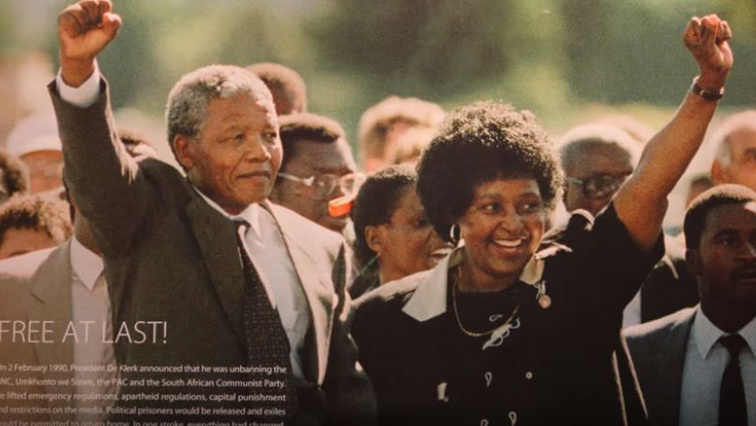 29 years since Mandela walked out of prison - SABC News - Breaking news, special reports, world, business, sport coverage of all South African current events. Africa's news leader. Late former President Nelson Mandela was released from prison on 11 February 1990. Monday marks 29 years since former President Nelson Mandela walked out of prison and became the first black President of a democratic dispensation four years later. South Africa’s transition from apartheid ended formally on 27 April 1994 with the first democratic general election following. These were years of peace-making, negotiating, reckoning and transforming. This year marks the 25th anniversary since South Africans cast their votes in 1994. The Nelson Mandela Foundation says while South Africans should still celebrate the country’s break from colonial and apartheid shackles, it should be acknowledged that the promises of the 1990s have not been delivered. “Nonetheless, we urge South Africans to go out in their numbers to vote in the 2019 general election. For us this has to be about a vote for delivery. We need a leadership at every level of society which holds the promise of the 1990s as a sacred duty and which is not compromised by the looting which has despoiled the democratic era,” the Foundation explains in a statement. According to the foundation Mandela’s presidency was focussed on transforming society. It has described lack of government’s response to TRC recommendations as symptomatic. This entry was posted on 11 Feb 2019,12:03AM at 12:03 AM and is filed under Politics. You can follow any responses to this entry through the RSS 2.0 feed. Both comments and pings are currently closed.